This new braiser, with the “Chistera Drop-Structure” under its domed lid, ensures continuous self-basting during cooking. 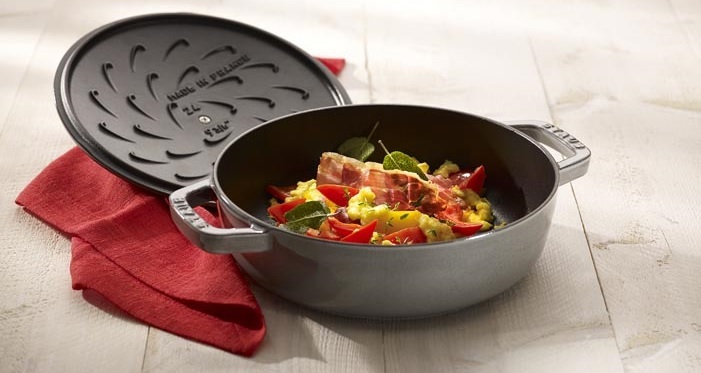 A new addition to the Staub enameled cast iron collection, this Chistera Drop-Structure cookware combines versatility of use and the compact size of a braiser with guaranteed cooking quality, thanks to Staub’s continuous self-basting feature. Its secret: a convex lid covered with uniquely formed elements inspired by the Basque Pelota Chistera. 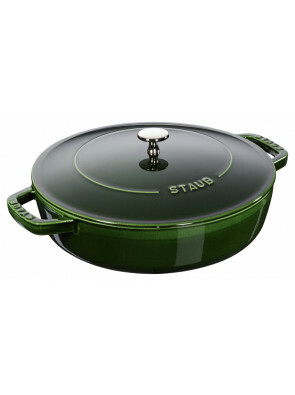 The self-basting performance of this convex lid compares to that of the famous Staub cocotte with its flat lid with spikes.